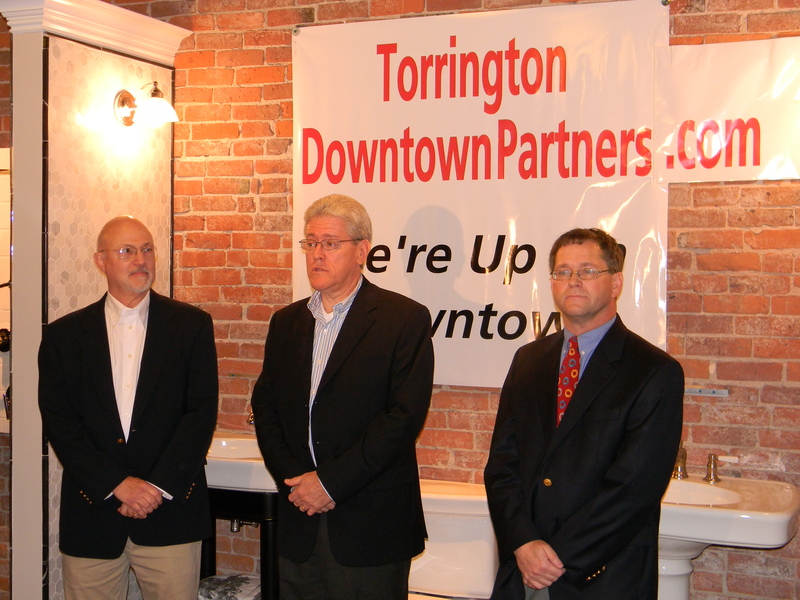 Torrington Downtown Partners | We're up on downtown. Torrington Downtown Partners LLC partners David Bender, left, Steven Roth and Steven Temkin announce their plans at a press conference Oct. 1 at Bender Showrooms, 29 Main Street, Torrington, Connecticut. The Connecticut city whose citizens put up their own money up to save its local baseball team is now taking the same approach with downtown revitalization. A large block of properties in the heart of downtown Torrington has been purchased by a local investment group that intends to invite the community at-large to participate in their revitalization, it was announced this morning. Torrington Downtown Partners LLC has acquired 7 buildings on Main and Water streets representing 27 retail storefronts and more than 70 office and apartment units. The properties were owned by Lighthouse Real Estate Partners since 2004, but were acquired by Flushing Preferred Funding Corp. in June in a foreclosure proceeding. The group is offering community members long frustrated at seeing empty storefronts in the downtown the opportunity to invest with $100 memberships that could entitle them to vote on future choices about the development of the properties, such as aesthetics of building renovations. The $100 will also entitle members to discounts at some of the properties’ retail tenants. The three local businessmen behind Torrington Downtown Partners LLC — Steven Temkin, Steven Roth and David Bender — were inspired by the momentum of Torrington’s recent downtown revitalization efforts, including the popular “Main Street Marketplace” that drew thousands of people on Thursday nights over the summer, new sidewalks and street lamps that were installed along Water Street, and plans for traffic flow improvements along Main Street and East Main Street. The $100 membership builds upon the concept of another Torrington innovation — the Torrington Titans collegiate league baseball team that was purchased this year through a similar membership drive and then turned to members to vote on the name of the team, its uniforms who would coach it and other decisions. Please join us at 11 a.m. Friday, Oct. 1, at Bender Showrooms, 29 Main St., Torrington, CT, for a major announcement about the future of downtown Torrington. And check back with this site on Friday for full details. 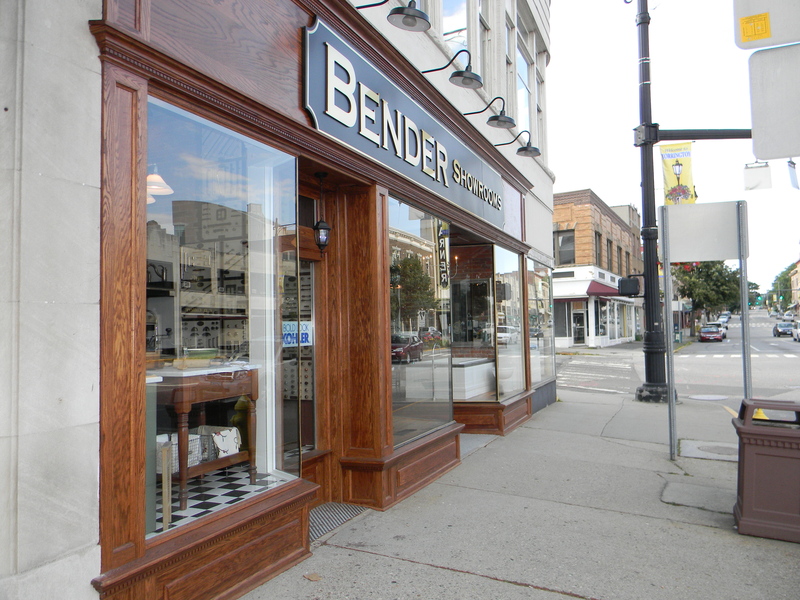 Victor Muschell, board member, Torrington Development Corp.
TORRINGTON — Bender Showrooms, which hosted a grand opening in June, is one of the latest businesses to open up in downtown Torrington. The showroom offers bath and kitchen solutions and is the only official dealer of Kohler products in Litchfield County. CLICK HERE for the full story from The Register Citizen. Torrington Development Corporation See proposed downtown improvements here. Torrington Titans Torrington’s crowdsourced baseball franchise.